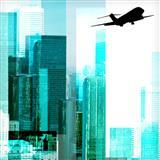 Air travel is hectic—hundreds of flights are cancelled and delayed throughout the country every day. While some airlines handle these issues with ease, others send customers on an impossible journey to get reimbursed for travel nightmares. Startup AirHelp is working to eliminate some of the customer service hassle associated with air travel by handling the refund or reimbursement process for customers, even filing lawsuits when necessary. "I was flying when Southwest had their recent computer problem, which caused thousands of flights to be cancelled. They were trying to do their best, but most airlines are operating in reaction to a crisis versus being fully prepared with a plan of action, including a plan that will communicate to customers what is going on and what they should do," Natalie Petouhoff, vice president and principal analyst at Constellation Research, says. According to AirHelp, only 0.1 percent of passengers actually get paid for flight delays and cancellations, missing out on hundreds of dollars. For an overbooked flight, for example, a passenger could receive up to $1300, but the path to that monetary reward is covered in customer service red tape, including phone calls and paperwork. AirHelp takes on this task, generating all the required paperwork by linking directly to passengers' Gmail accounts. AirHelp automates most steps of the process, from finding and filing the right documentation to depositing the reimbursement funds into passengers' bank accounts. Its business model dictates that the company takes 25 percent of the reimbursement, so it's in the startup's best interest to win back as much as possible. Though AirHelp is potentially solving one problem plaguing the airline industry, there's a whole set of other issues that must be tackled as well, Petouhoff points out. To avoid mass cancellations and delays that will eventually require reimbursing travelers, airlines should keep a redundant system to support live backups of computer logs. A secondary system would support the airline in case of mass system failure, such as the one Southwest recently experienced, she says. Some companies have moved away from this because it's expensive to maintain a second system. However, if there is a disaster, it is also very costly, she says. Still, AirHelp might be taking the industry one step closer to smoother customer service resolutions. Roughly 25,000 customers have already used the service, and AirHelp continues to grow. The company presented at TechCrunch Disrupt this year, and has recently received new funding from investors such as Khosla Ventures. "Having a customer service company to help an airline handle emergencies and rebooking would be a great insurance policy against disasters that damage the brand," Petouhoff says, because "the brand reputation and equity damage is huge when there is this type of situation."